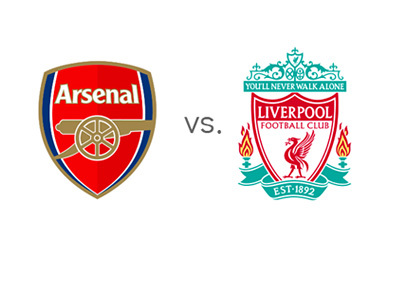 The most anticipated match this weekend is Arsenal vs. Liverpool in the English Premier League. The game takes place on Saturday, November 2nd, 2013 at Emirates Stadium with the kick-off at 5.30pm. After nine rounds of games played, Arsenal are in first place with 22 points and Liverpool are in third place with 20 points. Following the 1-2 home defeat in the UEFA Champions League to Borussia Dortmund, Arsenal beat Crystal Palace 0-2 in the Premier League and lost to Chelsea 0-2 at home in the Capital One Cup. Liverpool have seven points out of their last three Premier League matches. The Reds beat Crystal Palace 3-1 at home, after which they drew with Newcastle 2-2 away and most recently beat West Brom 4-1 at home. In their last twelve meetings, Arsenal have won four times, Liverpool have won once, and the two teams drew seven times. The last game was on January 13th, 2013 at the Emirates Stadium and the score was 2-2. Arsenal are the slight favourites to win this match at home. A 100 € bet on the Gunners could return 125 € in profit, while the same bet on Liverpool could return 220 € in profit. The most likely outcome on Saturday, according to the odds, is a 1-1 draw. Daniel Sturridge and Luis Suarez are the favourites to score for the guests at 11/8 each, while Olivier Giroud is the favourite to score for the home side at 6/4. Louis Suarez has scored six goals in four games since returning from suspension for Liverpool. Mesut Ozil has been quiet lately for Arsenal. Both teams have had impressive starts to the season and this promises to be a good game!